**these items are non-refrigerated and will be labeled at CSA pickup for partial and full. 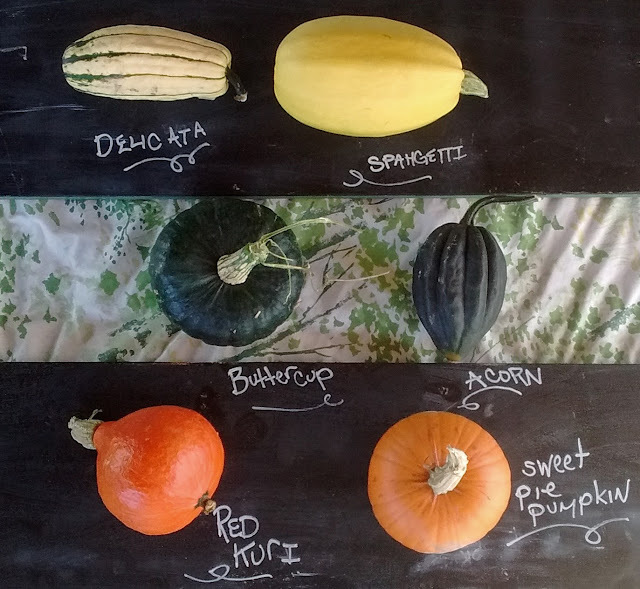 You have FOUR separate things to add to your boxed share this week; tomatoes, onions, delicata and acorn squash. What beautiful fall weather we had last week! Last Monday we had a big getting-ready-for-frost work day. It was our least hectic getting-ready-for-frost day so far, but still left us feeling pretty worn out the next couple days. With the decreased day length, the plants in the field are really slowing down and we can feel ourselves ready to start slowing down as well. Less day length also means fewer hours for us to work outside, and we can start getting caught up on some much needed office work. During the day we are doing a lot of harvesting this time of year. Other than harvesting we are pulling out summer crops, flail mowing, amending with compost, and starting to get some of the beds put away for next spring. We are also working on upgrading our irrigation system, and adding about 45 new 100 foot beds for next year. We are upgrading to some new seeders and harvesting tools and trying them out now *before* we attempt growing more baby greens next year. Each fall we try to get as much infrastructure work done for the following year as possible before snow flies. 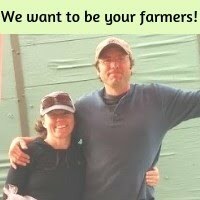 We also want to get as much planning and refining for next year done as possible while we are still actively in the middle of the farming season. It's easy to make plans in the winter that just do not work when you put them into practice in the spring. And things get so hectic in the spring, we really need everything to work as smoothly as possible. Now is the time! We try as hard as possible to stay focused and be efficient in our work to make next year even better than this year. We had such rave reviews from everyone about the kohlrabi this spring that we decided to do a fall planting this year. Remember the leaves can be sauteed and braised like kale or chard, and the kohlrabi is best peeled and then can be shredded and added to 'slaws, cut thin for a raw vegetable, or diced and sauteed. Acorn squash is probably the most familiar of the winter squashes and you just cut it in half, scoop out the seeds, and roast in the oven. Many people like them roasted with butter and maple syrup or brown sugar. Other people like them stuffed with a savory stuffing. I like using all types of winter squash to add to curries, soups, or casseroles and I find them to be such a versatile vegetable. Delicata squash is a really unique winter squash because you can eat the skins. Our favorite way to cook them is to cut them in half, scoop out the seeds, and cut them (skin and all) into little half moons and bake them on a cookie sheet at 350 until crisp (usually about 30 minutes but it depends how thickly you sliced them thicker takes longer). These little squash chips are great dipped in a homemade garlic pesto or just eaten as a side dish with any meal. 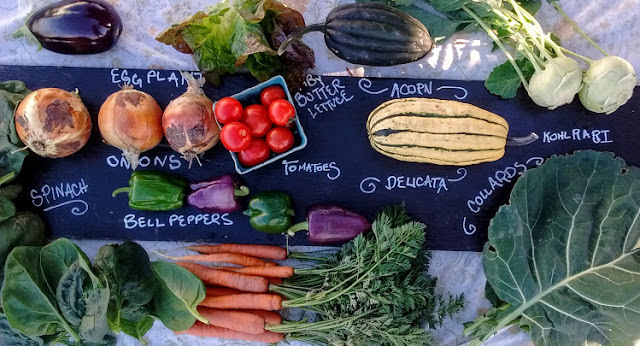 Next week it looks like we'll have carrots, red beets, hakuri salad turnips, swiss chard, and super greens and buttercup squash. Can you believe there are only three weeks left of CSA? !